This study teaches that when God gives a command, He also gives a promise. Blessing can follow obedience, as God graciously fulfils His Word. Students will study the life of Moses through the Book of Exodus, witnessing the tribulations and victories of the Israelites as they learn to trust God. This study provides a basic introduction to the structure and themes of the Word of God. As students journey through this fast-moving survey, they will discover the truths and applications that God has provided in each book of the Bible. God’s gracious work is clear—from creation to the cross to the consummation of time. The Key Word Learning System helps your students learn the names and major themes of the books of the Bible. In middle school, young people face more and more decisions on their own. Soon they find that their new freedoms are followed by greater responsibility and higher expectations. Wise Up encourages your students to study the wisdom of God in Proverbs, allowing Him to shape their lives into the image of His Son, Christ. iving in a kingdom shattered under an oppressive power, the people of Malachi’s day had lost all hope. They no longer remembered their covenant with God, and they wondered if God even cared to remember His children. This small group Bible study challenges young men to place their trust in an Almighty God, who can make them mighty for His glory. After the example of David’s mighty men (2 Samuel 23), they will develop essential disciplines of service, prayer, and fellowship. By pursuing a closer walk with God, your teens will find the courage to live a life of mighty faith. Do your teens know that the Creator of the universe delights to reveal His glory? Do they understand that God desires a personal relationship with them? The purpose of this study is to teach these awesome truths about our majestic God by surveying His nature and existence. Genuine holiness is internal. Only through God's power can we become holy, and the Bible teaches that we cannot expect to know God's power until we thirst to know Him. If we do not, we will never be holy. This study is designed to cultivate a passion for God in your heart—a passion that He will use to lead you to genuine holiness. Most of us have a hard enough time admitting when we have made a mistake or had a lapse in judgment. But it is even harder admitting that often times these mistakes and lapses are simply a cover-up for a starker reality—sin. By portraying sin in all of its ugliness, this study will increase your students' awareness of sin and its consequences. This study is taken from the first fifteen lessons of the study Sin: Its Paralyzing Venom. Exploring God’s Love guides K4 preschoolers from the wonders of Creation to the resurrection of Jesus Christ, emphasizing the Father’s glorious love along the way. In Spanish. 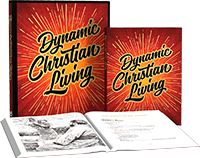 This study can help new believers tackle the basic doctrines of the Christian faith. They will understand how to mature spiritually and glorify God at this stage of their growth. This is the first book in our Christian Growth discipleship series. Leche: Para Nuevos Christianos is the Spanish translation of our most popular Bible study, Milk: For New Christians. Carne: Para Christianos En Crecimiento is the Spanish translation of our popular Bible study, Meat: For Growing Christians. People look thousands of different places to fill the hunger in their lives, but Jesus Christ, the Bread of Life, is the only one who will satisfy our deepest needs. This third book in our Christian Growth series is for those who are hungry to know Christ. Pan: Para Christianos Hambrientos is the Spanish translation of our popular Bible study, Bread: For Hungry Christians. This is the third book in our Christian Growth discipleship series. Christ chose fishermen for His disciples, perhaps in part because their old job reflected their new one. Fishing portrays what every true disciple should do—seek the souls of others. This fourth book in our Christian Growth series is for those who want to share the gospel with others. Pescado: Para Christianos que Testifican is the Spanish translation of our popular Bible study, Fish: For Witnessing Christians. This exciting story presents the life of George Mueller, a minister to England’s orphans in the 1800s. This story relates Steve Saint's return to the jungles of Ecuador. This biography showcases God’s providence in the lives of John and Betty Stam. This biography features the life of the great hymn writer and poet, Fanny Crosby. Share the story of praying Hyde, a missionary to India who relied on God’s power through prayer. This biography follows Dr. Carl Becker during the forty years that he worked with and treated the people of the Congo (Zaire). This story presents the amazing work of God through the ministry of Jo Shetler.